Australias Highway One gets the nod as the longest road in the world. It actually circumnavigates the whole of the vast country via a network of fully interconnected roads. Its total length is 9,024 miles, which makes it over 2,200 miles longer than its nearest rival, the Trans Siberian Highway.Over a million people drive on Highway One every day, with the road passing through every state in Australia, but theyd need a lot more than a day to drive all the way around it. Canadas Tibbitt to Contwoyto Winter Road is the longest ice road in the world. Thats right, a road built entirely on ice. The road was first used in 1982 as a supply route to the mines in the Northwest Territories and Nunavut. Open from January to the end of March every year, the ice road is rebuilt annually. 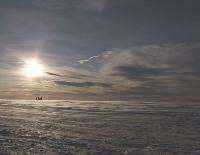 It is 353 miles long, 308 miles of which traverse frozen lakes. 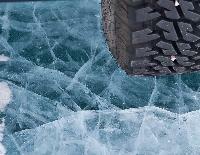 The first vehicle to use it each season measures the thickness of the ice with sonar for safety. 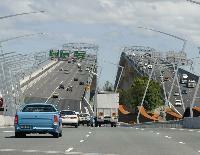 The M2 Southern Expressway in Adelaide, South Australia, allows only one direction of traffic flow at any one time. 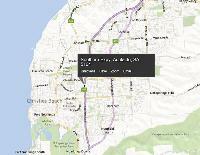 The road runs towards Adelaide city in the morning, swapping to a southbound flow in the afternoon. It has a total length of 13.05 miles. The two lane road eases congestion on the Main South Road in South Australia, and has proved a great success with commuters. Not one for the claustrophobic, the tunnel between Aurland and L?rdal on the main road between Bergen and Oslo, Norway, measures 15.2 miles in length. 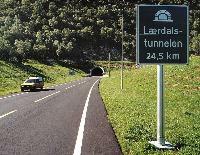 The two lane L?rdal Tunnel was opened by King Harald of Norway on 27 November 2000. It cost a reported $113.1 million to construct and is officially the longest road tunnel in the world. 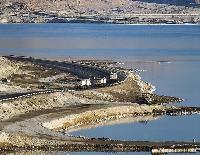 The worlds lowest road is along the Israeli shores of the Dead Sea at 393m below sea level. The most dangerous road in the world is a tough one to nail down but the Guinness World Records goes with the North Yungas Road in Bolivia and thats good enough for us.The North Yungas Road runs for 43 miles from La Paz to Coroico and up to 300 deaths occur annually along its length thats 6.9 fatalities per mile! For the majority of its stretch, the North Yungas is a single lane mud road but traffic travels in both directions and theres an unbarricaded vertical drop on one side. 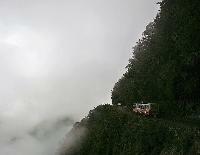 At its highest point, the drop is 4,700m and the road becomes even more deadly during the rainy season. The McMurdo South Pole Highway is a 900 mile road built in Antarctica from the McMurdo Station to the Amundsen Scott base at the South Pole and its the most southerly road in the world.It takes a caterpillar tracked vehicle around 40 days to pull fully loaded sleds of fuel and supplies along the route. Smaller vehicles can do this more quickly. The road is not paved, but made from flattened and graded ice and snow. The route offers a means of contact with the outside world for the Amundsen Scott station staff, when trips by plane are not possible in the harsh Antarctic summer. The worlds shortest street is Ebenezer Place in Wick, Scotland. Its only 2.06m long and basically comprises the front door of Mackays Hotel. The tiny street originated in 1883 when the owner of the hotel was instructed to paint a street name on its shortest side. It was officially declared a street in 1887.Ebenezer Place was only recognised as the worlds shortest street in 2006 when the Guinness Book of Records officially placed it ahead of 5.2m long Elgin Street in Bacup, Lancashire. 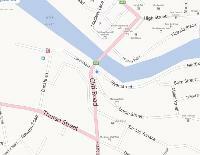 The straightest road in the world must also be a candidate for the most mind numbingly boring. The Eyre Highway is a 1,056 mile cut through the Australian outback designed primarily for use by gigantic road trains. 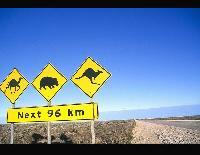 One stretch on the Nullarbor Plain in Kalgoorlie is dead straight for 90 miles. 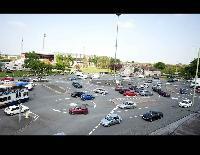 This is not a place to run out of petrol.